Is it easier to be fat depending on what race you are? I’ve wondered about this most of my life. I have friends of pretty much all races and ethnic backgrounds and I noticed from a very young age how certain ethnic backgrounds had less stigma over being fat. Sure, there is always the “you need to loose weight because you look unhealthy” argument on all sides but it seemed to me that with certain races there was less pressure to be skinny. 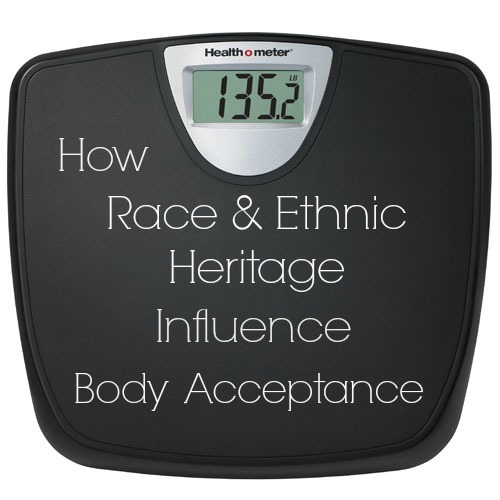 I would envy my African American and Hispanic friends because it seemed that no matter what size their tag said or what numbers showed up on the scale they were happier and more confident with their bodies and their sexuality. When I would hang out at their house I felt like their families didn’t care so much about diets and the perfect body size and I was jealous that they got to live more carefree happy lives. The friends I had who were white or grew up with a European, White American or Asian background were the ones who were constantly belittling their own bodies, starving themselves to obtain the “perfect size” and pressuring me to be skinny with them. Now, I know that not all white/European/Asian people are fat phobic, just like I know that not all African American/Hispanic/Pacific Islanders are comfortable with their bodies no matter the size. It all really comes down to the individual and the family they were brought up with. But, as a society I feel like their is more pressure to have the perfect body or be the perfect weight depending on what race or ethnic background surrounds you. I am Native American with German mixed in. I grew up in two households (because my parents were divorced). The first household was German/Polish American. In this household we ate what we wanted but we would beat ourselves up about it afterwards. There was always someone on a diet and no one was happy with their bodies. No one. There was hardly ever any “talking” about body issues going on but there was a lot of jokes and ridicule snuck in with sarcastic comments. The 2nd household was Native American/Pacific Islander/Asian. In this household you were ridiculed for eating “fattening” foods. The amount of food on your plate (whether it was healthy or not) was judged and if it was shown to be more then what was deemed “appropriate” you were scolded. There was never anyone on a diet but if your stomach was too big to see your toes when you stood straight and looked down then you were labeled fat and unhealthy. If you were given that label then the other people in the family (no matter their size) felt it was their right to constantly comment, judge and even make fun of you to pressure you to loose wait. Neither or these household celebrated the body in general. No one talked about what it meant to actually be healthy. I grew up feeling as though my body was something to be ashamed of. That, because I was fat, I could not be happy with myself, I was lazy and unhealthy and that until I was skinny no one would even want to touch me (hugs, holding hands, etc…). I realized that my body, my size, made the people I was close to feel uncomfortable and unhappy. I hated myself and I felt like my body was a prison. Then at the age of 16 I got my first job (a laboratory associate at my local hospital) and my eyes were opened up. I was no longer sheltered among my family. Through this time I met so many different people of all races and ethnic backgrounds. I gained so many dear friends that to this day I still think of fondly though we have all lost touch. My new friends ranged in size from very skinny to very fat and everything in between. Sure there were still those that felt uncomfortable with themselves, those that were on perpetual diets, but there were also those who seemed to enjoy the skin they lived in, who looked comfortable expressing themselves with their body and their actions. I remember the first time I realized people like that existed. I would catch myself just starring at them in awe. It was such a shockingly new concept to me to be happy with your body no matter what it looked it. Little by little those friends helped me escape my prison. They showed me that I was actually beautiful. That I was worthy of someone’s love and praise even though I was not skinny. They taught me that I didn’t have to wait to be happy just because my scale showed me weighing more then society felt I should. These were extremely hard lessons to learn and from time to time I still forget them. However, I am FOREVER grateful to them for showing me another way to live and look at my body. One friend in general is always on my mind when I think of body acceptance. Her name is Daisy and she was an amazing person. She was always happy and cheerful even when she was having a bad day. Her smile was the kind of smile that lit up her eyes and everyone around her. She had Puerto Rican heritage so her skin had an olive complexion and her eyes sparkled with blues and greens. She was plus size (I would guess around 220) and average height (5’7-5’9). She had short curly hair that was always silky and springy. I envied her so much! We mimicked each other in so many things looks wise. We both had the olive complexion, we both had black curly hair, we were both the same height and size but when you looked at us there was a vast difference. You could tell she was happy and confident and because of that she radiated beauty. I was unhappy, I had no self confidence and because of that I radiated dullness and insecurity. Over breaks we would sit and chat and it was through her eyes that I started to see myself and my body for who I truly was. She helped me overcome all those fat phobic barriers in my mind. She taught me to ignore the scale and to just listen to my body. In all honesty she is the reason I am who I am today. She was such a big influence on me and brought me so much happiness that when I had my daughter I named her Daisy in hopes that she would grow up to just like her. Do you feel it’s easier to be fat depending on what race or ethnic background you have? Would you like to share what it was like for you growing up? 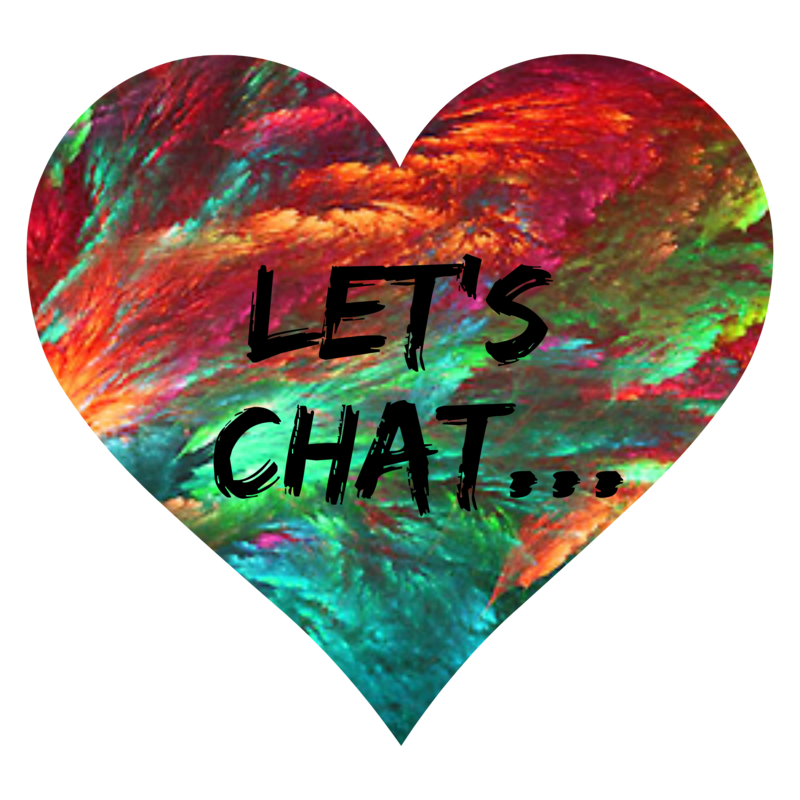 This entry was posted in Body Positive and tagged #curvyliving, Body Acceptance, Body Positive, Darla G. Denton, Ethnic Background, Fat, Plus size, Race. Bookmark the permalink.